Playa-azul hotel in Cozumel, Mexico. 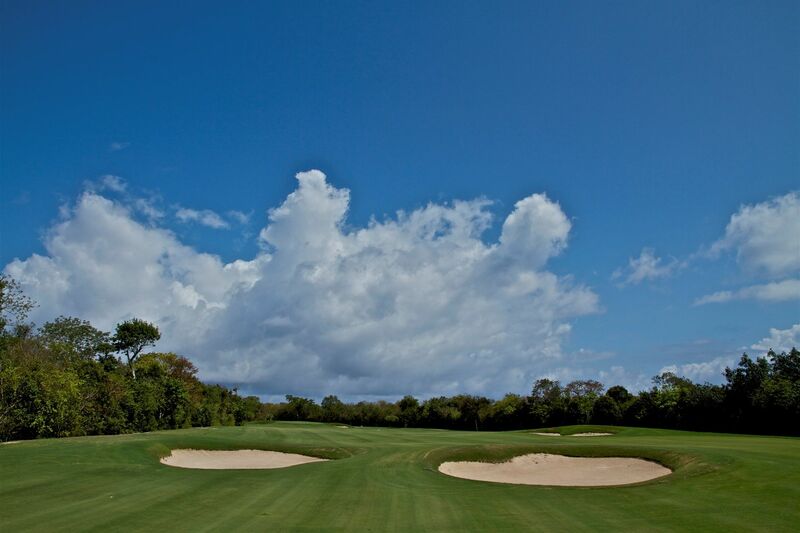 This 3 star hotel offers FREE unlimited green fee ($30 cart fee) access to the near by Jack Nicholas designed Cozumel Golf and Country Club. The hotel is decent and well run, and modestly priced. What's strange about it is the golf course. The club offered free nice Nike club rentals as well, so we paid just $15 each. We booked the hotel for the scuba diving, but couldn't pass up the chance to play golf in the afternoons at that price. Having brought no golf balls, we purchased them at the club, at $4 each. When we ask for 4 balls each, the staff laughed out loud. They also strongly suggested we by insect propellant, which was also quite expensive. Golf on the Rocks... Sedona, Arizona is a fabulous place to visit. The weather is generally good with low humidity and mild temperatures due to the altitude of 4300 feet. You will feel 10 years younger watching your golf ball sail in the thinner air! If you play tennis, be sure to buy the "high altitude" balls, or all your shots will go long. You can find nearby hotels here. Golf uphill. The Canyonlands ski area in Park City, UT has a golf course that snakes up the mountain. Rising over 550 feet, it even has one hole with a 300 foot rise. Only accessible in the summer, usually opening in late may, it's in the historic town of Park City, UT, which has fantastic outdoor activities year round. Cypress Bend is a very nice course on the east side of the Toledo Bend lake, which divides Texas and Louisiana. A very nice course, moderately challenging and a decent hotel. Weather is generally mild year round, especially in the winter. Rates are reasonable, and the staff is very friendly. Fishing is fair on the lake, but water skiing is very limited, as most of the trees were left when the lake was built to provide cover for the fish.